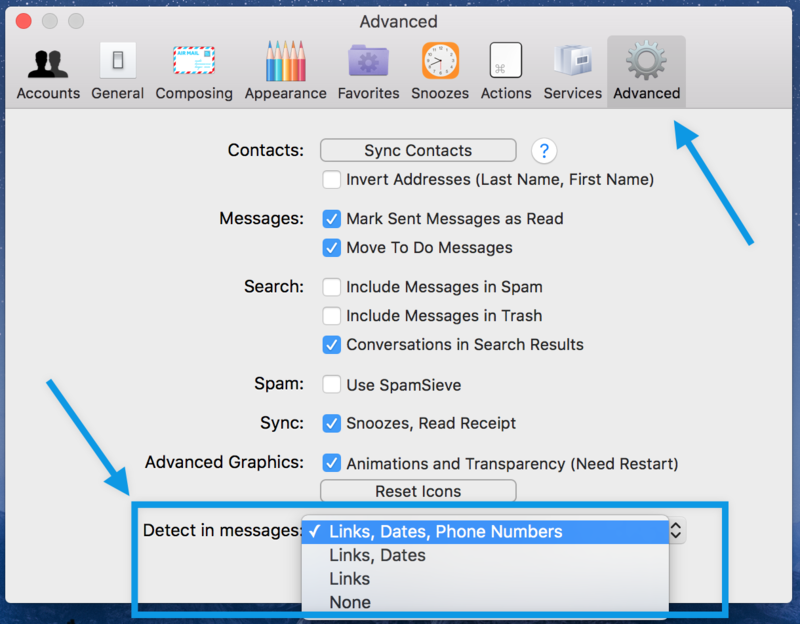 This article is about the hyperlinks which are auto-detected in messages. click on the ‘Detect in messages’ drop-down window as in the screenshot below. and finally, “None”, which means no information in your email messages will be hyperlinked.